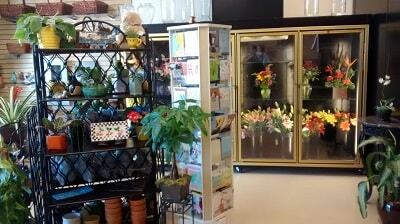 Floral Creations proudly serves Meridian and the surrounding areas. We cover most of the Treasure Valley. Our delivery area extends from Boise to Nampa and Kuna to Eagle and Star. 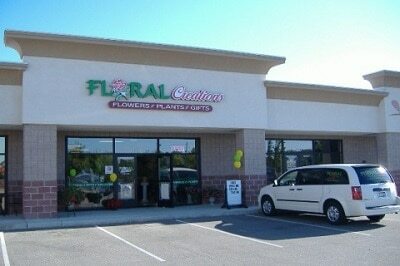 Floral Creations was established in 2010 right here in Meridian. Marci purchased Floral Creations in the fall of 2015. She and the talented design staff, with over 25 years of experience, pride themselves on innovative arrangements and great customer service. Their diversity in design styles enables them to provide a wide variety of floral creations with only the freshest flowers. You can expect an added personal touch to each customer order, using the freshest flowers to ensure maximum vase life for the recipient's enjoyment. 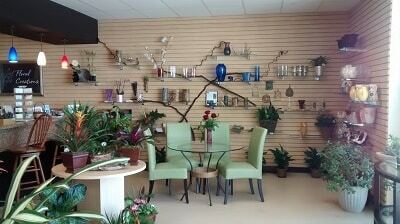 Floral Creations is family owned and operated. We are committed to offering only the finest floral arrangements, backed by service that is friendly and prompt. Because all of our customers are important, our professional staff is dedicated to making your experience a pleasant one. That is why we always go the extra mile to make your floral gift perfect. Our roses are sourced from reputable growers and each variety is quality tested. Our in-house expert is Bob. He cut his teeth on rose stems. His family business of growing and hybridizing roses for national and international growers dates back to his great-grandparents. Bob's knowledge of roses, allows us to carry only the best varieties, offering top quality roses with a longer vase life. We pride ourselves on purchasing fresh flowers from area farms and wholesalers, strengthening and supporting local commerce. In the mission of keeping it local we support local artists and crafters. Cynthia Bowers has been creating in clay for more than thirty years. Her recent works include mixed media sculptures and wall hangings. We enjoy Cynthia's enthusiasm in creating one of a kind, custom pieces for our shop – stop in and admire her work. Kay Grooms is an accomplished artist, working in water color. She has provided us with an ever-changing assortment of greeting cards. Kay's cards are prints of her originals. which are of Idaho natural landmarks, Oregon coast, and Hawaii. We also display original paintings, for sale. Diane Perkins, displays her original abstract pieces, working with oils on canvas. "poured" method creates one of a kind works. Jim Naccarato, creates custom iron works. Using rustic found pieces, and repurposing them into something new. Finishing his works with a durable powder coat to make them last another lifetime. Our tropical flowers and foliage are purchased from a small farm in Hawaii ,Puna Kamalii Flowers. This small farm employs developmentally disabled individuals, teaching skills to build self-confidence, satisfaction and joy that come from working on a team. No flower shop is complete without chocolate! From classic candies to confectionery creations, we proudly carry chocolates from Weiser Classic Candy. Quality and simply the best! Let Floral Creations be your first choice for flowers. We gladly accept orders for deliveries late in the day or early in the evening. Please call to place your order if you need same day delivery. We also offer 24 hour phone service, so you can call us to place an order at any time. Our commitment to you is 100% satisfaction on all your floral and gift purchases. If you are not completely satisfied, let us know by calling (208)288-5705.
please call us directly at (208) 288-5705. Boise, Garden City, Eagle, Kuna, Star, Nampa and Meridian. We deliver to all residences, businesses, funeral homes, and hospitals. U.S. orders must be received before 2:00 PM in the recipient's time zone to assure same-day delivery. Orders received after that time will be delivered the following day. We may be able to accomodate orders later in the day. Please call us directly to place your order for late afternoon same day delivery.